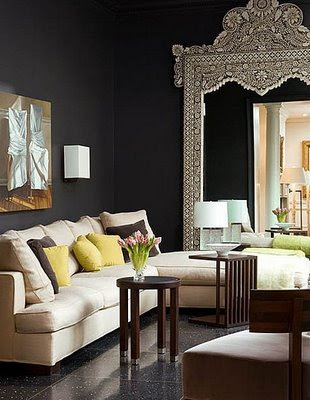 Black has amazing power to solidify a color scheme, pull together disparate pieces of furniture, and give your home a touch of Hollywood glam. Why not try it in one of your rooms? It is all gorgeous and makes me want to paint something black! OR a lot of somethings! 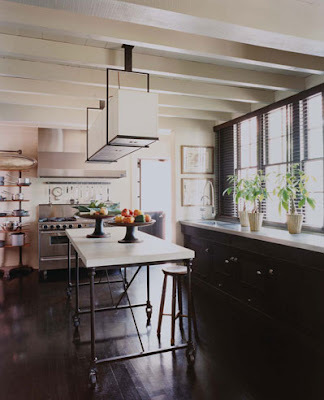 I wish I was brave enough to paint my kitchen cabinets black....I love that look!!! 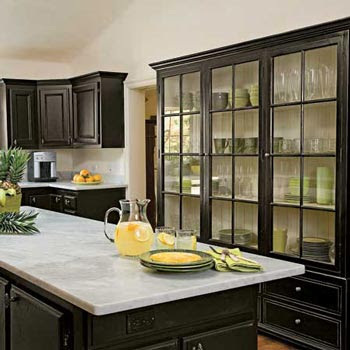 There is something I love about black kitchen cabinets!!! Just don't know if I would want to commit to it or not! I'm putting in black and toile into the hall bath and will be painting the vanity cabinet black, as I too, think black is glamorous. At least, I hope that's what it will be. But I'm making sure there is also a lot of white to balance the look. Oh, that's "black and white" toile... I meant to say. I am crazy about black! I've never painted a wall black, but I love how black anchors a room and adds some drama. I especially love black bathrooms for some reason-- they are just so dramatic! I also love the black cabinets! 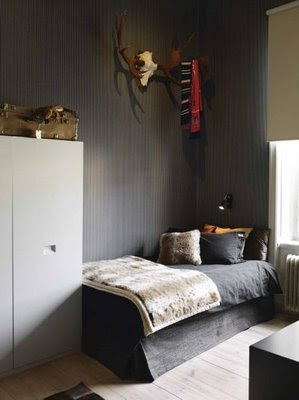 I just love inspiring black rooms like this. Gorgeous! I don't think I'd have the nerve to try it at my house, but I love the photos.